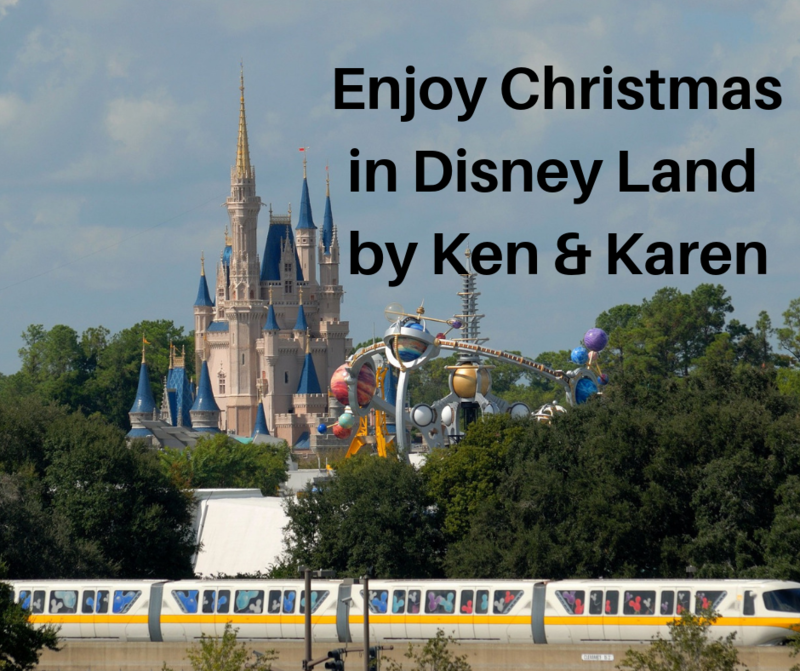 Walt Disney World’s Magic Kingdom near Orlando Florida is known as the happiest place on earth but it is truly magical during the Christmas season. They even make it “snow” in central Florida! 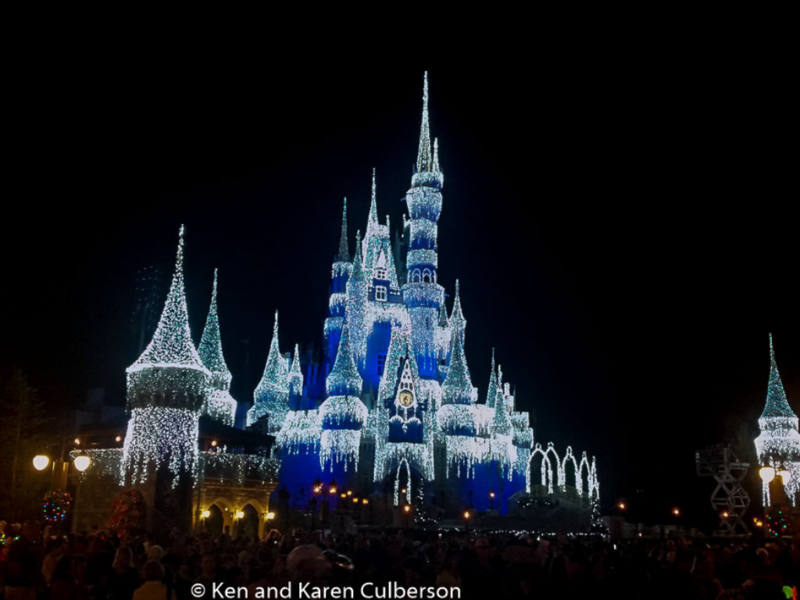 From November 1st through early January each year, the Magic Kingdom becomes a Christmas wonderland. 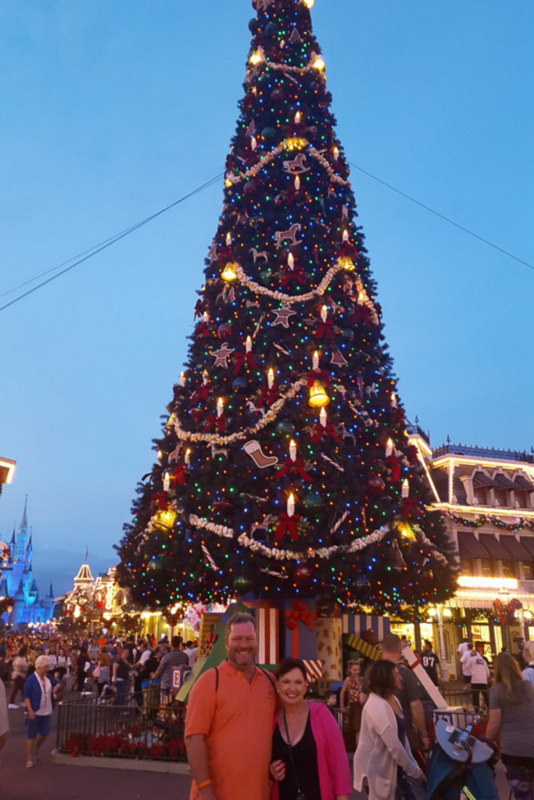 An enormous Christmas tree greets you as you enter the plaza of Main Street USA. Christmas wreaths, garlands and poinsettias adorn the street and every shop is decorated for the season. At nightfall, Cinderella’s Castle transforms into a shimmering castle of ice to set the backdrop for the spectacular fireworks show. The entire park seems to be jolly! The famous Jungle Cruise transforms into the Jingle Cruise with the queue and ride all decked out for the holidays. Even the boats get fun yuletide names! Everything and everyone seem to look like Christmas. Special holiday treats and merchandise even make shopping a little more magical. If you want to experience the most holiday magic the park has to offer, check out Mickey’s Very Merry Christmas Party. This is a special ticket event on select nights from early November until a few days before Christmas. It brings holiday cheer with special shows, parades, exclusive merchandise and free hot chocolate and cookies! As a special gift to guests visiting on or near Christmas, the same special shows and parades are included with general park admission starting a few days before Christmas through New Year’s. Just be aware that the crowds are the heaviest of the season during this week, often reaching park capacity. The least crowded time to visit is typically the second week of November and the week after Thanksgiving through the second week of December. If you want to experience even more holiday magic during your Walt Disney World visit, hop on the monorail to start a tour of the major resort hotels. You’ll find endless surprises including a life-sized gingerbread house, a chocolate carousel and unbelievable giant themed Christmas trees in each one!